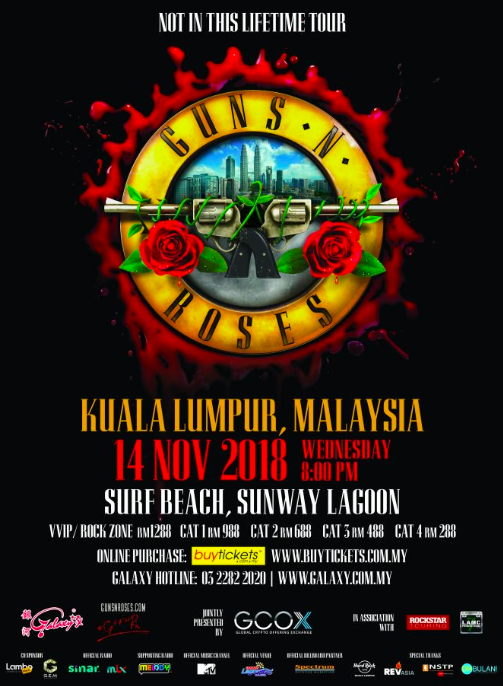 UPDATE: VVIP and CAT 3 tickets for the Guns N' Roses concert in KL are sold out! But it's still not too late to see the legends perform in KL this November! Tickets for CAT 4 (RM288), CAT 2 (RM688) and CAT 1 (RM988) are still available at 15% off. The coupon code is only valid until 1 October 2018. Also, it goes without saying that you should refrain from purchasing any resale tickets as they may be voided at the concert gates. 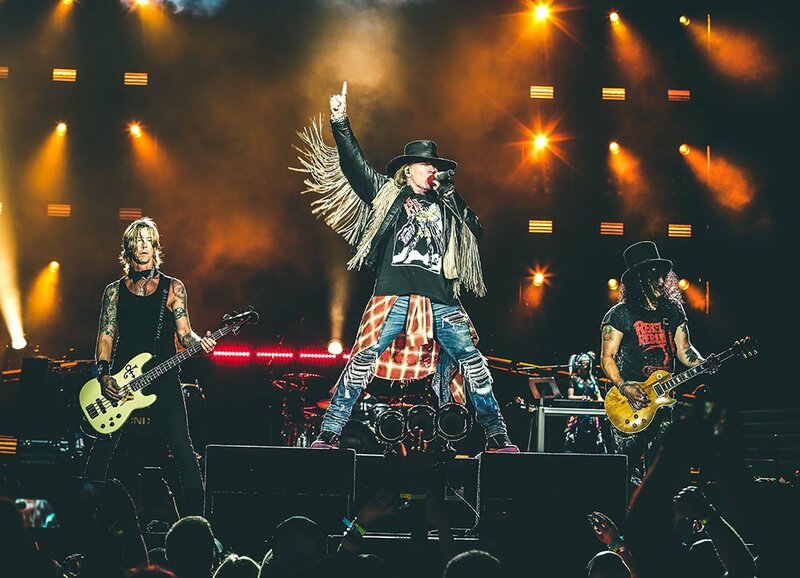 Last year, Axl Rose and co. gave Malaysia a miss when they were in Asia, so this is your second chance to catch Guns N' Roses live in Kuala Lumpur this November! 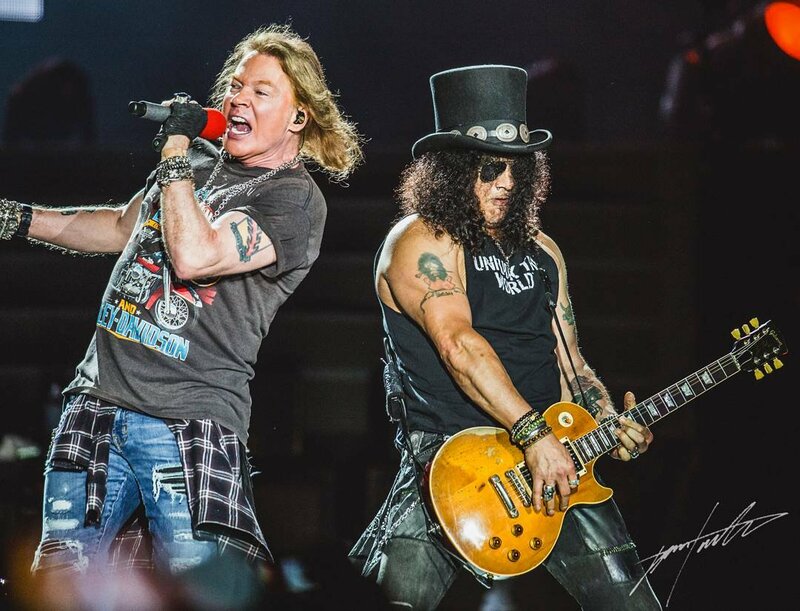 The iconic band have been touring non-stop since frontman Axl Rose and guitar legend Slash settled their decades-long differences and reunited in 2016 for the Not In This Lifetime... World Tour, which saw them performing a series of concerts in North America, Latin America, Asia, and Oceania. Thanks to Galaxy Group, SAYS readers are entitled to a 15% discount on tickets for ALL categories except VVIP. Do note that the coupon code is only valid until 1 October 2018. Tickets are currently available for sale via BuyTicket.com.my. 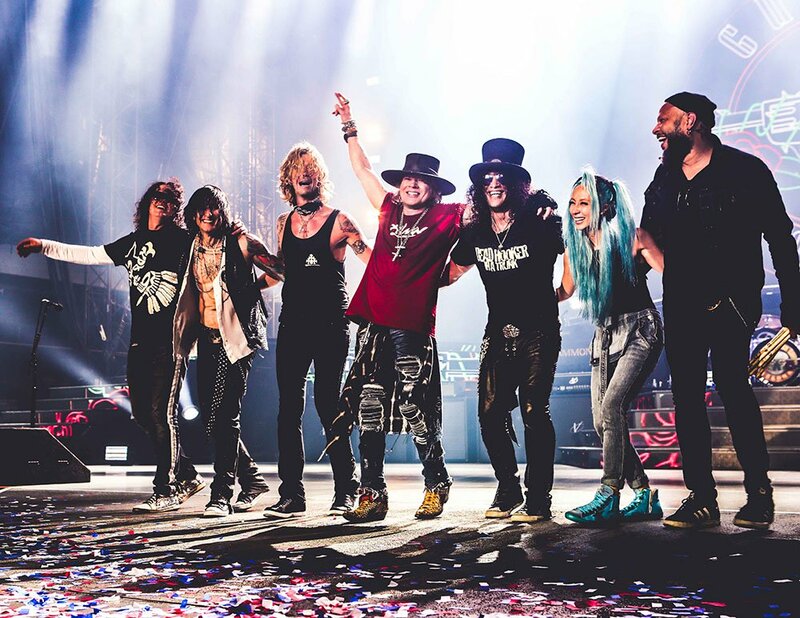 Guns N' Roses Not In This Lifetime... Tour Live in Kuala Lumpur is presented by GCOX and organised by Galaxy Group.